The fields listed below are fields in use by the Northwestern Soccer program. North on Rte 309 (or Rte 100) thru Schnecksville and towards Northwestern Lehigh High School and New Tripoli. Less than a mile into New Tripoli...straight thru the stop sign and will see a large church on your right as you leave the village. Entrance to Ontelaunee Park is on the left after passing the church. The soccer fields are to the rear of the park on the left. Travel south on Rte 309 from Blue Mtn, the turn off 309 onto Rte 143 will be to the right and follow thru New Tripoli as above. If you miss the turn and see the Northwestern Lehigh High School on your left you have gone too far. Turn around and look for a left turn onto Rte 143. 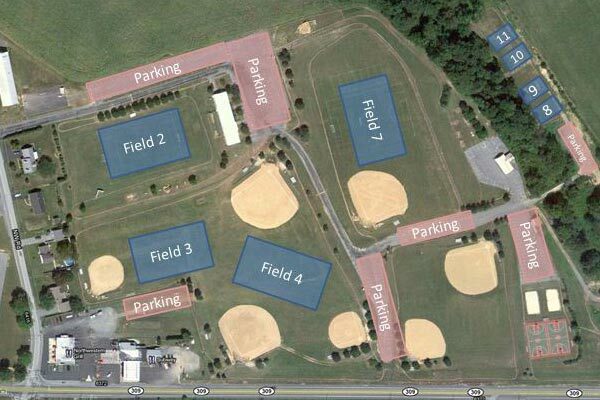 Entrance to the Northwestern Recreation Fields will be on your right. The Address listed for this complex is the closest GPS address to the park entrance.